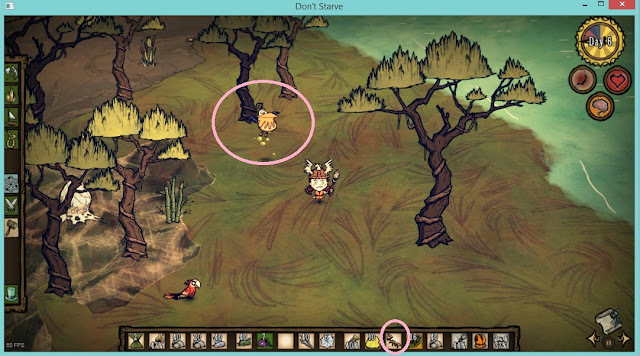 Don't be sad that you cant find chester on Shipwreck world, because Klei is kind and they provide "Paskim Baggims" , a flying chester that can be controlled with fishbone. It will follow you everywhere, even when you sail cos it can fly hahaha. What a logic. So this PB has 9 slot just like chester, its looks like pelican, and careful it can be poisoned too. But as i remember,the poison will go in the mean time.